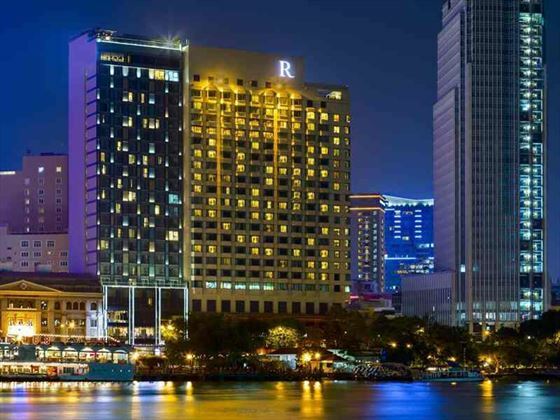 Towering above Ho Chi Minh City, the Renaissance Riverside Hotel Saigon commands some superb city and river views as well as a great riverside location from where to get out and explore. 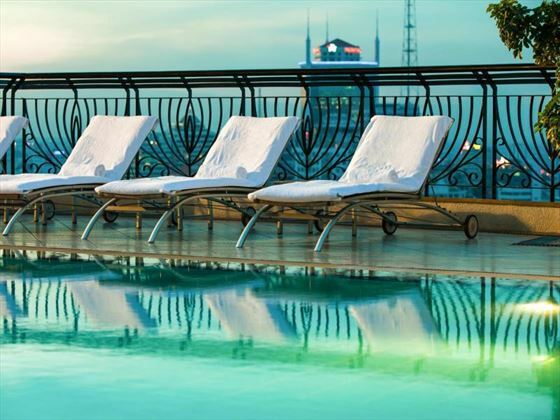 Parks, palaces and vibrant artisan markets are all nearby and if you're hoping to put your feet up after a good day's sightseeing then there's nowhere finer than the rooftop pool bar and outdoor terrace. 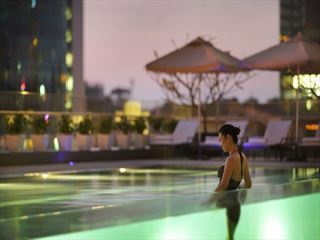 With a good choice of café and restaurant venues as well as spa, massage and fitness suites, the Renaissance provides couples and young families with a great base from where to experience the culture and the adventure of Vietnam's largest city. 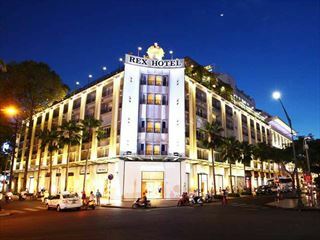 Situated on the riverside, close to the historic Ben Thanh Market which is a great location for shopping and eating out with numerous historic landmarks and buildings within easy walking distance. 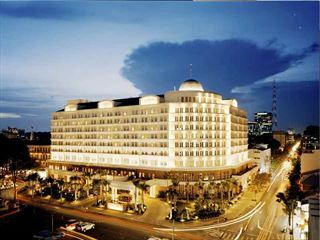 Tan Son Nhat International Airport is around five miles away from the Renaissance. Deluxe Rooms – decide between one king-size bed or two twin beds with river or city views. 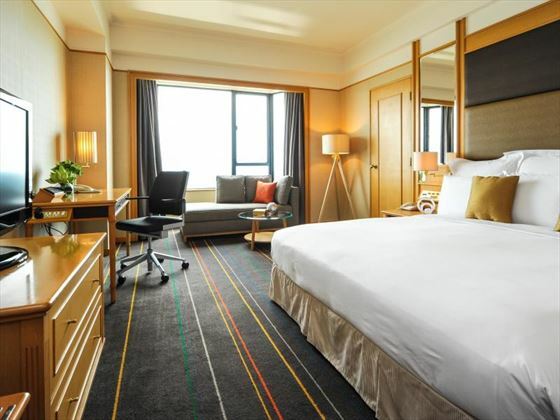 Deluxe Corner Rooms – larger than Deluxe Rooms with river and city views from wrap round windows. Club Rooms – same size as Deluxe Rooms with similar features alongside access to the benefits of the Club Lounge, which include*: complimentary all day refreshments, hot buffet breakfast, evening cocktails, hors d'oeuvres and desserts as well as complimentary business services. Deluxe Suites – larger than Deluxe Corner Rooms with separate living room, two bathrooms, one king-size bed and views over the river as well as access to the Club Lounge*. Executive Suites – just larger than Deluxe Suites with additional dining area as well as Club Lounge* access. Presidential Suite – the largest Renaissance guest room featuring separate dining and living areas as well as one bedroom with walk in wardrobe and king-size bed in addition to Club Lounge* privileges. Riverside Café – all day dining, serving international dishes including buffet breakfasts whilst overlooking the river and city streets. Kabin – Cantonese specialities considered one of the best Chinese restaurants in Ho Chi Minh; open for lunch and evening meals. Lobby Lounge – coffee, light bites and pastries served in comfortable lobby lounge surroundings. 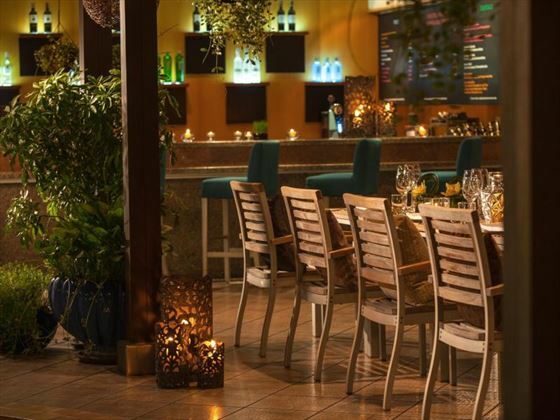 Pool Bar – weekend barbecues and pool parties alongside regular refreshments and snacks. Atrium Lounge – free Wi-Fi and a fashionable setting promote drinks and meals at the Atrium Lounge above several other Saigon contenders. The Renaissance Spa – massages, baths, steam rooms and beauty treatments using a range of Azial aromatherapy oils and traditional well being techniques. 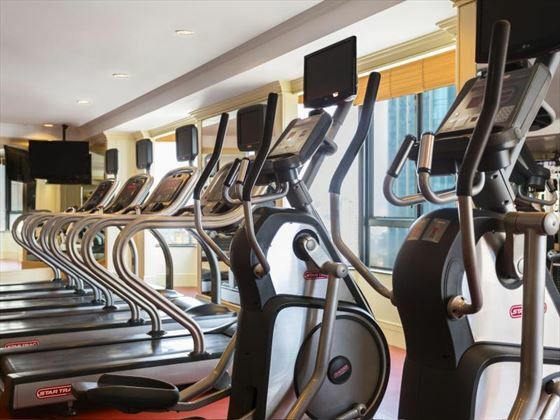 Renaissance Gym – cardio equipment, free weights and sauna. Rooftop swimming pool with towels provided.